On Sunday December 11 from from 5 to 8 p.m. at Thunderbird Coffee on Manor Road, Artists Against Cancer will be holding a silent auction of incredible art, including this quilt. All proceeds raised will be given to help our friend Cindy C in her battle with cancer. This is going to be a great event! If you are in the area on Sunday, please stop by. For a preview of all the wonderful art being donated, click here! 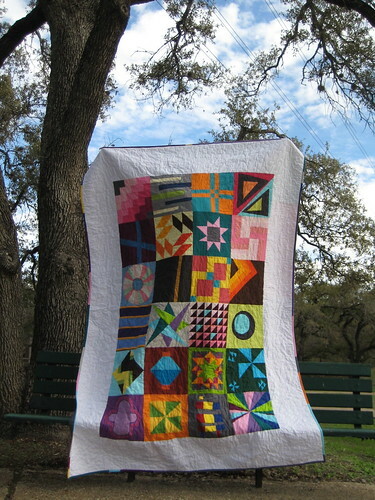 For more details on the quilt, click here. Thanks again to everyone who donated their time!